I seem to be perpetually slacking on keeping this site up to date but that usually means that fun is being had. And this has not been an exception. 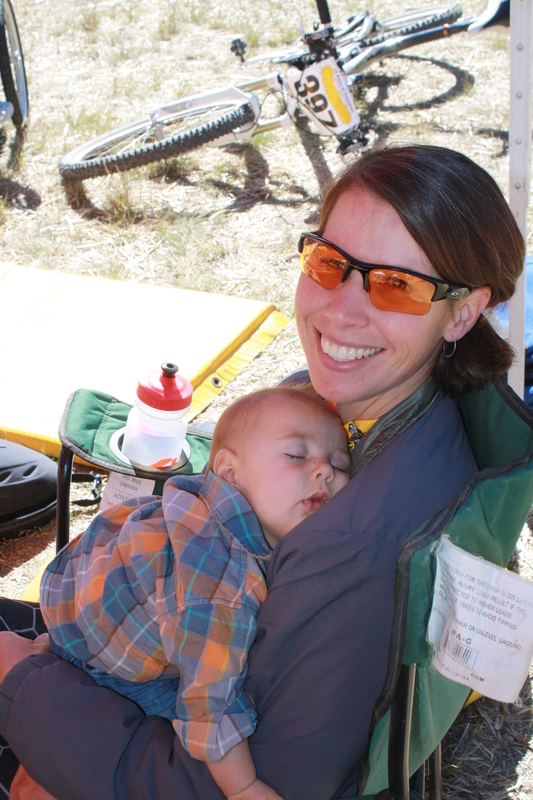 A few weekends ago we packed the family up for some camping, riding and playing in Crested Butte. Despite getting kind of a late start, both Ian and I were able to get in rides on Saturday afternoon and the kids had a lot fun playing in the dirt at the campsite. Unfortunately Juniper spent about four hours of the night coughing in the tent so we decided to cut the trip short and head home a day early. But of course Ian and I both squeezed in great rides before taking off. Sometimes things work out for the best as we convinced our friend Mike to watch both kids on Labor Day so we could get out for a ride together. After listening to Ian talk about a newer trail at Prince Creek he finally had a chance to drag me around on it. Doing my best to keep Ian in sight, failing most of the climb, I thoroughly enjoyed the descent despite clipping my handlebars on trees numerous times. Axel taking advantage of some Mom time between laps. 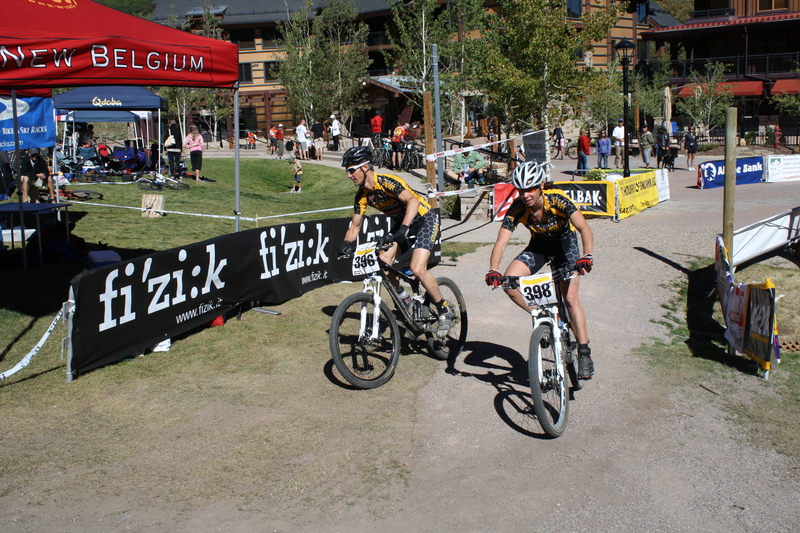 I have no recollection of training the following week (or was it two weeks) but eventually we raced the 12 Hours of Snowmass as a team of three. The course was a few miles longer than two years ago when I first raced in the inaugural event and the additional single track was a great addition. The Honey Stinger team cleaned up with wins in the Duo Men (Scott McCalmon & Nate Bird) and in Trio Coed (myself, Ian & Michael Hayes) and second place in Women’s Solo (Kris Cannon). Nate and I also managed to record the fastest laps for men and women helping make the weekend very successful and super fun. Continuing on my record streak, Ian and I managed a few more mountain bike rides together during the week since my mother-in-law was visiting. I think we have ridden together more this past week than we have in the last three years! Finally, friend and Honey Stinger teammate Todd Kennedy and I managed a great ride up high yesterday afternoon. Probably the longest climb of my season (2-1/2+ hours) up to the top of Red Table Mountain from Cottonwood Pass with some of the best views I have ever witnessed. Despite some cyclocross riding on the descent due to downed trees we discovered some fun single track and rode into Gypsum finishing up a fun adventure. I always forget how much I enjoy the long adventurous rides until I get out one every few months. My legs were a bit sluggish this morning on my run with the kids in the Chariot but I’m enjoying getting back into shape after baby number two. Lindsay at Carmichael continues to get me out doing intervals and getting me racing again. I may just be ready to really race 24 Hours of Moab this October!